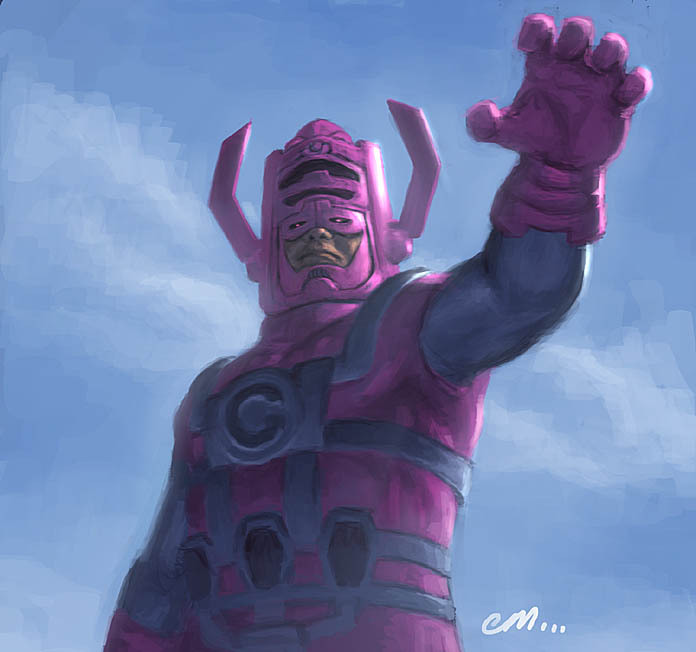 Posted October 2, 2009 in Euan Mactavish, Galactus, Jack Kirby. 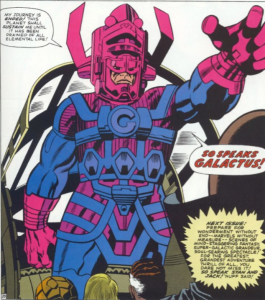 A fresh perspective on the First appearance of Galactus courtesy of Euan Mactavish. Insert art by Jack Kirby and Joe Sinnott from Fantastic Four #48. 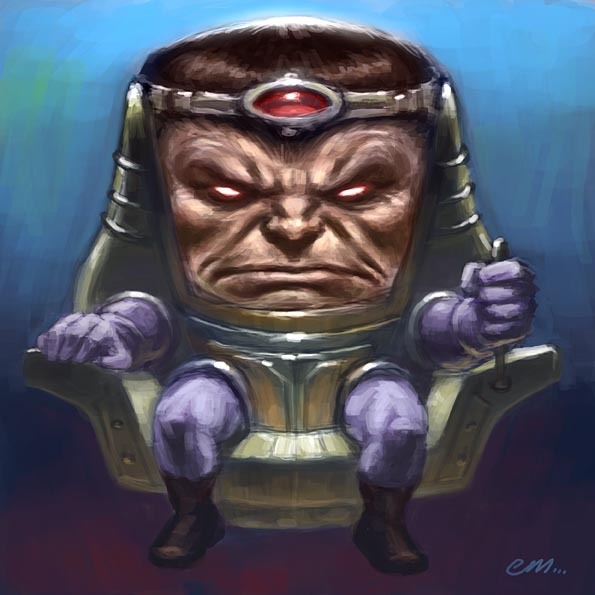 Posted August 17, 2009 in Euan Mactavish, Modok. It’s that wacky old Mental Organism Designed Only for Killing MODOK again, courtesy of Euan Mactavish. Posted July 31, 2009 in Captain America, Euan Mactavish. 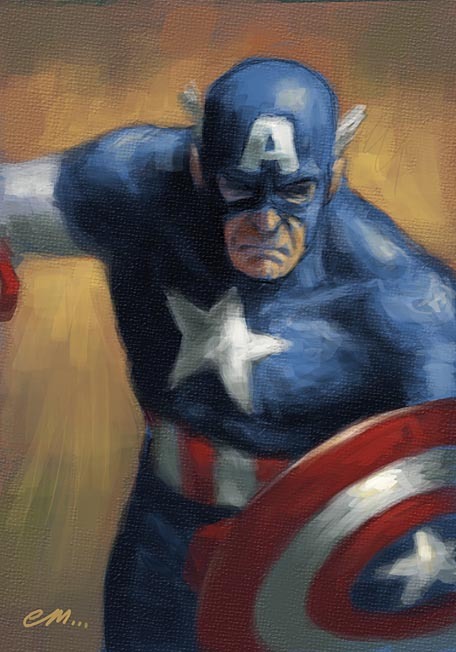 Captain America by Scottish Graphic Designer/Illustrator Euan Mactavish. Euan is one of the moderators and regular contributors at drawingboard.0rg and you can find more of his digitally painted portraits and caricatures at his blog Paper, Pencil, Pixels.